Speak with the creator or grantor of the trust, the individual who has named you as a beneficiary. If it’s a revocable trust, he can continue to make changes to it during his lifetime. Ask him to add a spendthrift clause to your beneficiary designation and expected inheritance. Section 541(c)(2) of the United States Bankruptcy Code prevents your trust assets from going to a third party, such as a bankruptcy trustee or your creditors, when this clause is included in the trust documents. Disclaim your inheritance. This won’t help you benefit from the trust assets personally, but it will protect the grantor’s wealth from going to your creditors. Other beneficiaries can still benefit from the proceeds when the grantor dies. The effectiveness of this action depends on disclaiming before you file for bankruptcy, however. If you do it after you file, the court might construe it as fraud. Use the wild card exemption available to you under bankruptcy law to remove your trust assets from your bankrupt estate. Both the United States Bankruptcy Code and individual state bankruptcy laws allow debtors to exempt property up to a certain dollar amount. Your bankruptcy trustee cannot claim these protected assets to satisfy your debts. The federal exemption amount is $11,200 at the time of publication. State exemptions are usually less. You can’t use both the state and federal exemption, but if your trust assets are valued at $11,200 or less, you can still benefit from them regardless of the fact that you’ve filed for bankruptcy protection. National Bankruptcy Forum: What if I File Chapter 7 Bankruptcy and I’m Named as a Beneficiary in my Parents Trust? Bankruptcy Law Network: What Happens if I Inherit Property While I’m in Bankruptcy? 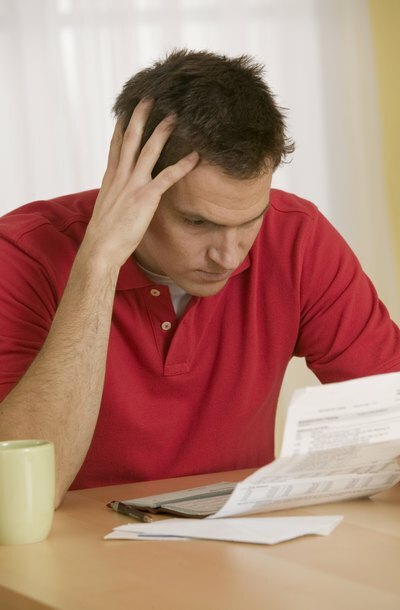 Can I Inherit Money After Declaring Bankruptcy?